Appearances were deceiving. It was a secluded building apparently in the middle of nowhere. The only clue we had was from a curious invitation card, mysteriously emailed to us, and informing us that we had come into possession of a "rare and limited ticket" which would grant us access into the "wonderful world of Grimmsneyland". Could it be that the entrance to such a magical place would be innocently hidden in the outskirts of suburban Singapore? And so we climbed up the rickety steps, uncertain at what we were to expect. Little did we expect to find a strange creature at the top of the stairs. He said his name was Brandon, and that he was a Fairy-Godfather-in-Training; and that it was his duty to guide us into Grimmsneyland. And that, dear readers, was the beginning of our Adventures in Grimmsneyland! What magical adventures await! Imagine coming face to face with Napping Beauty, who dazzles in her pink outfit! 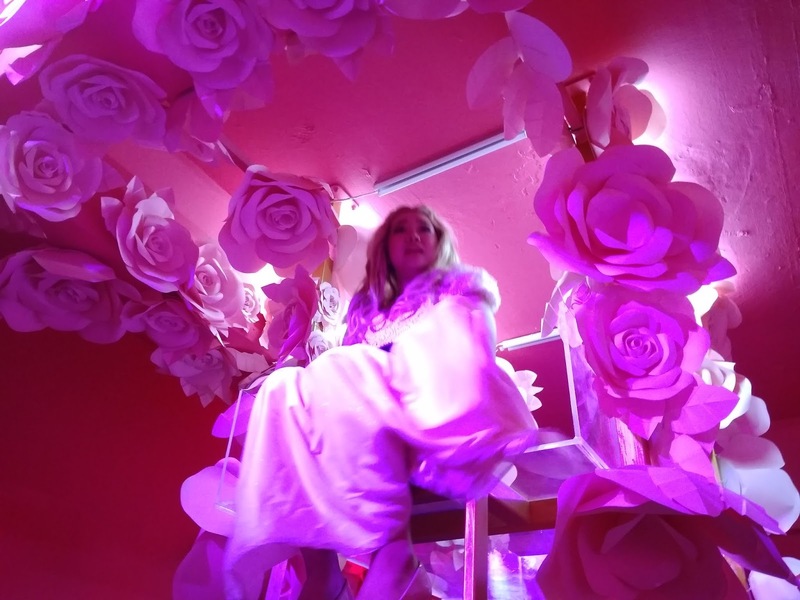 ANDSOFORTH Jr.'s production, Tales of Grimmsneyland is a fantastical performance that comes in the heels of its previous sell-out show Adventures in Grimmsneyland, which is more geared towards non-children audiences. The show is intended to be a children's adaptation of tales from the Brothers Grimm, amalgamated with experiences from Disneyland. At the onset, audiences are stunned by the immensely spectacular sets which dazzle the imagination and take them into a land beyond what they would ever dream about. 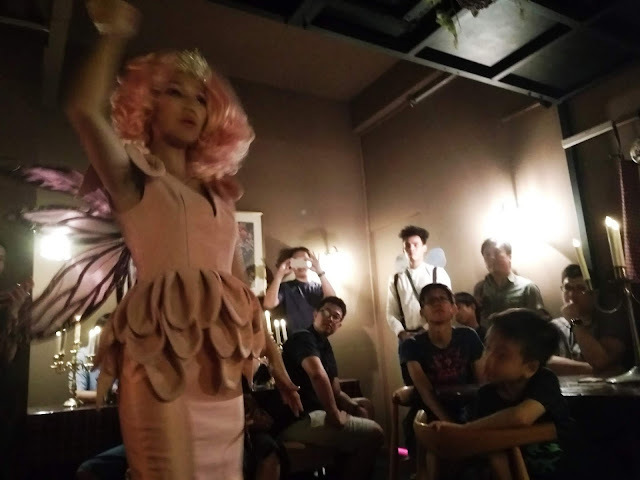 A star-studded galaxy-themed room where audiences can order small snacks to fill their bellies before they fill their adventure packs; a water-themed room where everyone's childhood fantasy of sliding into an "ocean" of floaty balls actually becomes reality; a rose-themed room where one's personhood is literally suspended in mid-air; a cosy living room where a fairy tale adventure comes to live in a charming musical extravaganza of song and dance; and finally an enchanted forest where apples fall like cannonballs. Where has Miranda the Little Mermaid gone? Is she lost yet again? each of the fairyland folk! 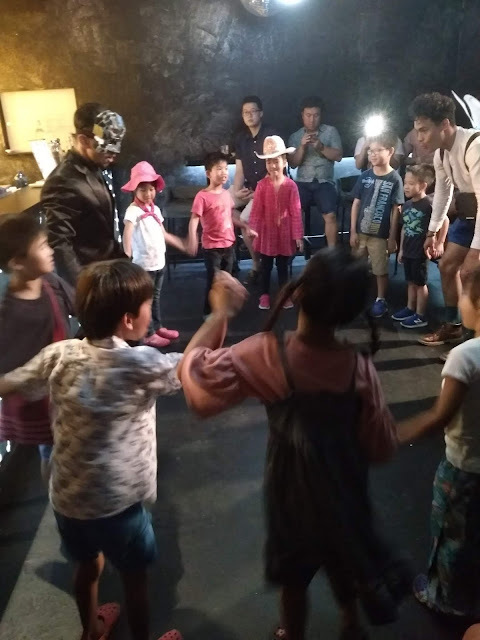 ANDSOFORTH Jr. promised for the production to be the "first multi-dimensional immersive & interactive theatre experience catered to young audiences in Singapore", and this was indeed our experience. At the onset we were greeted by flighty and flittery Brandon (played by Salif Hardie), who persuaded young audiences to act like villagers in order to blend in with the inhabitants of Grimmsneyland. Together with a totally believable Mirror Mirror (who functions as a type of "Keeper of the Grounds", and is masterfully played by Mohammed Hafeez Bin Hassan), the children learn the various words and actions associated with village tasks such as cooking a meal and doing the laundry. It's then off into Grimmsneyland through a secret portal! 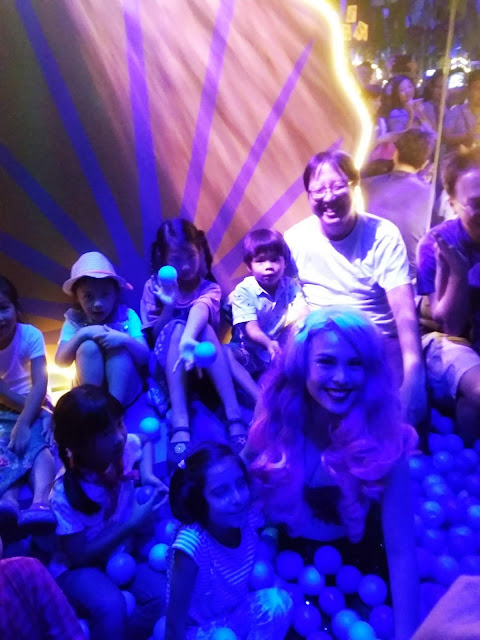 And the audiences get to meet dreamy characters such as Miranda the Little Mermaid, Napping Beauty, Cinderella's Fairy Godmother and Snow White. 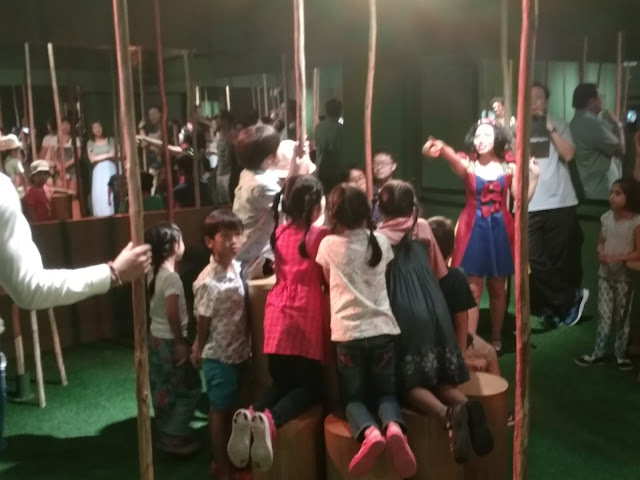 The audiences meet each character in a special room, and it is almost as though the children travel through space into each theatrical set rather than to have the scenes change in front of them like in a regular theatre. 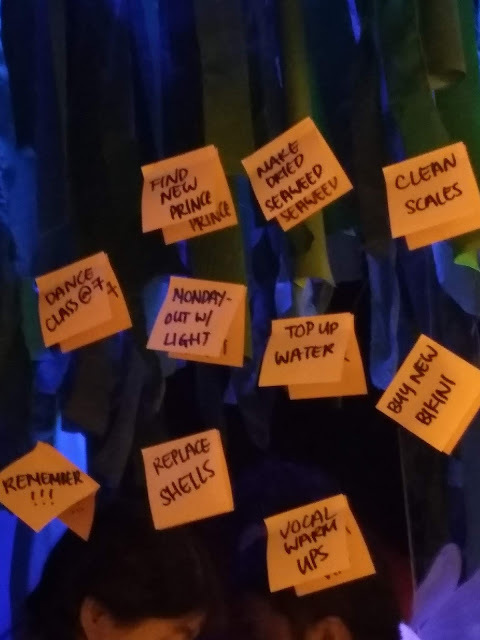 The immersive and interactive element is played up, and audiences need to solve a puzzle in each room, complete with songs and dances, in order to "help" the Grimmsneyland characters who are each faced with a conundrum. In this respect, Charlotte Elizabeth steals the show as Cinderella's Fairy Godmather. Elizabeth spins a delightful tale of how she really helped Cinderella to get to the Ball - and it was not as simple as dragging out a pumpkin and waving a magic wand. The Fairy Godmother spins an enchanting tale of how hard work saves the day! Oh Snow White! Aren't you the fairest in the land? All in all, ANDSOFORTH Jr.'s production was an enjoyable Sunday afternoon event with the kids. 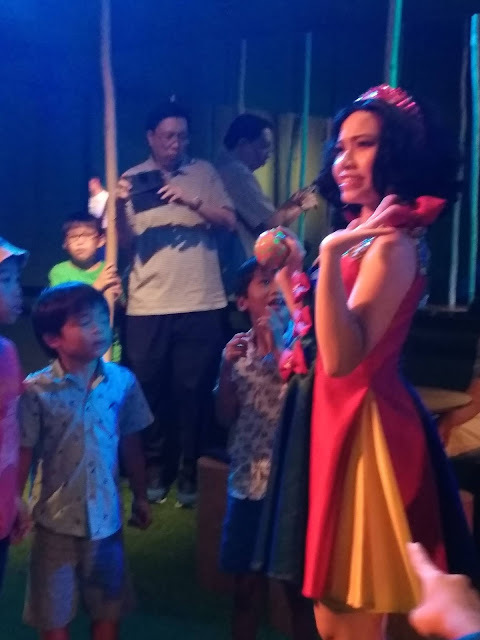 Our boys, 8 and 6, enjoyed the level of interaction they had with the cast - our 6-year-old even tried to climb a tree to "pluck" the golden apple in order to feed a starving Snow White. And our 8-year-old asked if what the Fairy Godmother said was true - that as long as you work hard, that you will achieve your goals. Perhaps fairy tales do come true. As long as you dare to believe, you will accomplish your dreams! Putting their hands together to help Snow White stave off hunger.